The most successful jump blues musician of the late 1940s and early 1950s was saxophonist and bandleader Louis Jordan, often called the “Father of Rhythm and Blues.” Born and raised in Arkansas, Jordan spent part of his formative years in Philadelphia playing with bandleader Charlie Gaines (1900–86) in the mid-1930s. Later, in New York, he formed Louis Jordan and His Tympani Five, a group that had numerous hits on the rhythm and blues charts in the 1940s and came to define the jump blues style. This photograph, from the William P. Gottlieb Collection in the Library of Congress, is labeled as being from about July 1946 New York, possibly at the Paramount Theater. Rhythm and blues grew out of two distinct streams of African American music in the post–World War II era—one of them was the urban harmony of gospel and popular vocal groups that came to be known as doo wop. 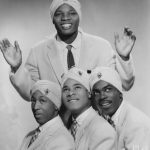 One such doo-wop group was The Turbans, formed in South Philadelphia in 1953 and comprised of high school friends. They won a local talent show in December 1954 performing a doo-wop version of “White Christmas” and a few months later recorded a demo in a Philadelphia studio. It was picked up by New York's Herald Records, which released their first single, “Let Me Show You (Around My Heart).” It was the B-side to this single, “When You Dance,” that brought the group national fame reaching number three on the Billboard R&B charts. 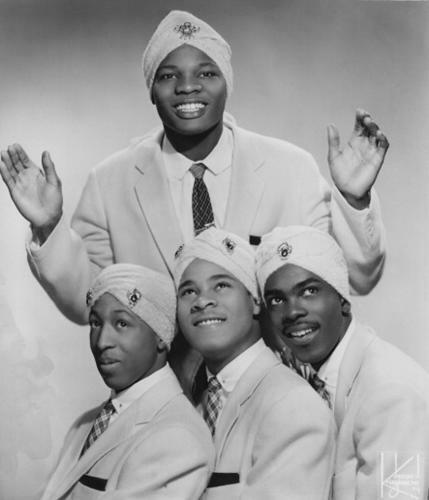 The Turbans recorded and released several more singles for Herald, but never achieved national success again. The group disbanded in 1958. With its large and diverse African American population and long tradition of black popular and religious music, Philadelphia became a hotbed of the new rhythm and blues style that emerged from jazz, blues, and gospel music in the 1940s and 1950s. The term “rhythm and blues” came into general use in the late 1940s to describe two types of black music: the rollicking dance tunes of small combos known as “jump” bands and the urban harmony of small vocal groups, later called “doo wop.” Record companies originally categorized these styles as “race” music and marketed them specifically to African American audiences. By the mid-1950s, rhythm and blues had gained considerable popularity with young white audiences, leading directly to the birth of rock and roll. Although influenced by several types of music, rhythm and blues grew out of two distinct streams of African American music in the post–World War II period. Jump bands evolved from jazz big bands while urban harmony came out of gospel and popular vocal groups. By the mid-1940s, the swing big bands that had long dominated jazz had begun to fall out of favor, giving way to smaller instrumental ensembles. One new direction these ensembles took was bebop, a complex type of small group jazz that featured advanced harmonies and angular melodies, often played at fast tempos. Another direction was jump blues, a much simpler style with basic blues-based harmonies, singable melodies, and lively dance rhythms. Jump blues was good-time music, meant for dancing and partying. 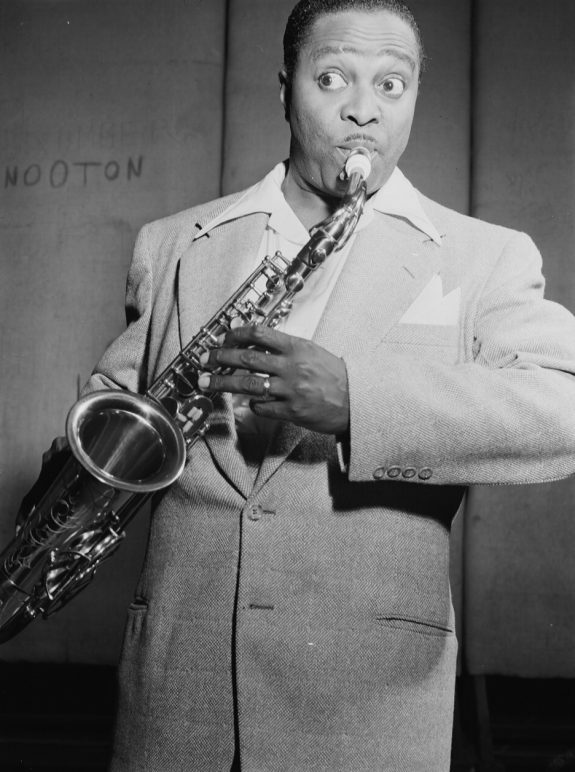 The most successful jump blues musician of the era was saxophonist and bandleader Louis Jordan (1908–75), often called the “Father of Rhythm and Blues.” Born and raised in Arkansas, Jordan spent part of his formative years in Philadelphia playing with bandleader Charlie Gaines (1900–86) in the mid-1930s. Later, in New York, he formed Louis Jordan and His Tympani Five, a group that had numerous hits on the rhythm and blues charts in the 1940s and came to define the jump blues style. Among the best-known jump bands in Philadelphia in the 1940s and 1950s were Jimmy Preston (1913–84) and His Prestonians, Chris Powell (1921–70) and His Blue Flames, and various groups led by Doc Bagby (d. 1970). They played the local dance halls and clubs and sometimes toured and recorded. 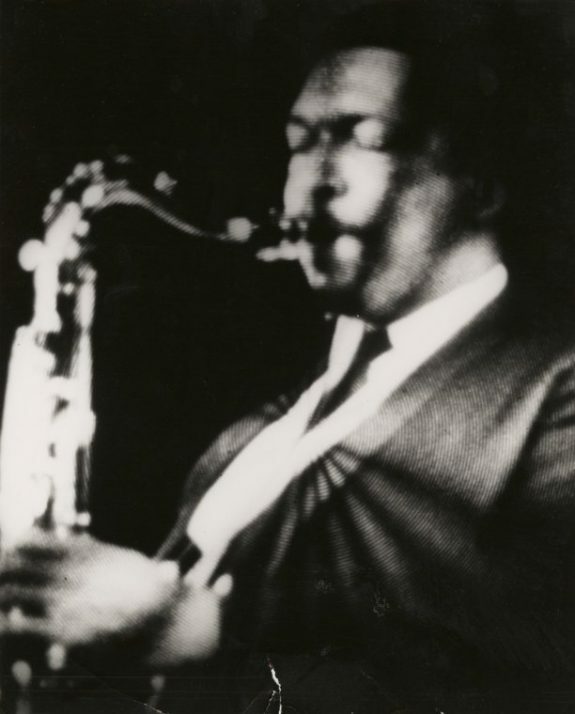 Musicians often moved between the closely related worlds of jazz and rhythm and blues. Jazz trumpeter Clifford Brown (1930–56) played with Chris Powell early in his career, while saxophonist Benny Golson (b. 1929) played with Jimmy Preston. Benjamin “Bull Moose” Jackson (1919–89), a rhythm and blues bandleader out of Cleveland, employed local jazz musicians such as Golson, saxophonist John Coltrane (1926–67), and drummer Philly Joe Jones (1923–85) during his engagements in Philadelphia. The other African American musical style that shaped rhythm and blues, was classic urban harmony, or “doo wop,” which grew out of gospel music and the vocal stylings of popular black singing groups of the 1930s and 1940s such as the Mills Brothers and Ink Spots. Famous gospel groups such as the Dixie Hummingbirds and Clara Ward (1924–73) and the Ward Sisters made their homes in Philadelphia, as did artists such as Sister Rosetta Tharpe (1915–73) and Solomon Burke (1940–2010) who worked in both gospel and rhythm and blues. Philadelphia boasted a rich tradition of African American vocal music in this period, from big-time gospel shows at the Metropolitan Opera House on North Broad Street to the spirited singing in the city’s many black churches to street-corner harmonizing by young a capella groups. Coming out of this tradition were such urban harmony groups as the Castelles, Turbans, Silhouettes, Ivy Tones, and Lee Andrews (1936–2016) and the Hearts. While most of these groups were one- or two-hit wonders on the rhythm and blues charts, collectively they made the city a major center for this type of music. By the early 1960s, the rhythm and blues era was over. 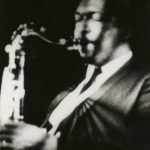 Many African American musicians continued playing the style, but most had either moved into rock and roll or begun to develop new styles, such as soul and funk. The recording industry eventually grouped these and other types of black music into a broad new category called “R&B,” a designation that, while derived from the words “rhythm and blues,” came to encompass many types of African American popular music, from urban contemporary popular music to hip-hop and rap. Philadelphia continued to be a leading city in these various styles, all of which had their roots in the rhythm and blues of the 1940s and 1950s. Birnbaum, Larry. Before Elvis: The Pre-History of Rock ‘N’ Roll. Plymouth, United Kingdom: Scarecrow Press, 2013. Metropolitan Opera House, 858 N. Broad Street, Philadelphia. Uptown Theater, 2227 N. Broad Street, Philadelphia. Great essay, Jack, thanks! I’ve had the pleasure of hearing Jack’s overview lecture on 300 years of Philadelphia music history several times and enjoyed it more each time. Jack, I hope you’re planning to treat us to a follow up essay on mid-twentieth century Philly rock and roll!